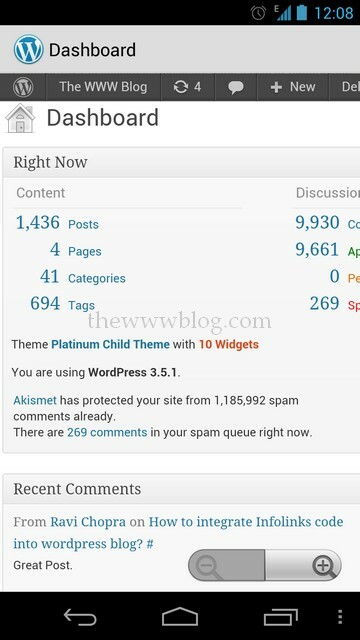 Majority of the blogging on the Internet now is done through the WordPress blogging platform, and most of them are the bloggers who use the desktop version of WordPress for blogging and updating the blogs in any way. Doing the same through the mobile phones and tablet devices is also possible, for those who are looking to do when they do not have an access to the computers, and still wanted to update their blogs or just want to approve the submitted guest posts perhaps. 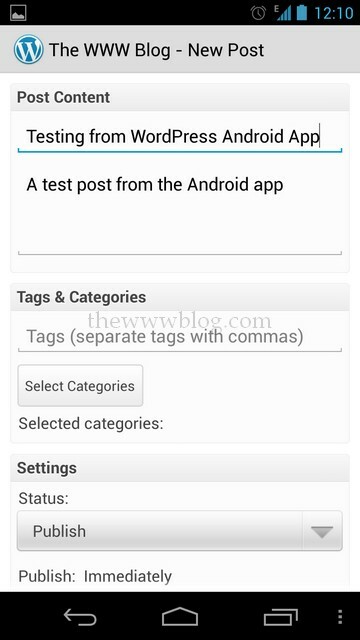 For the Android users, there is an official version of the WordPress app which can be rated as the best, needing no alternatives for the Android phone and Android tablet users. 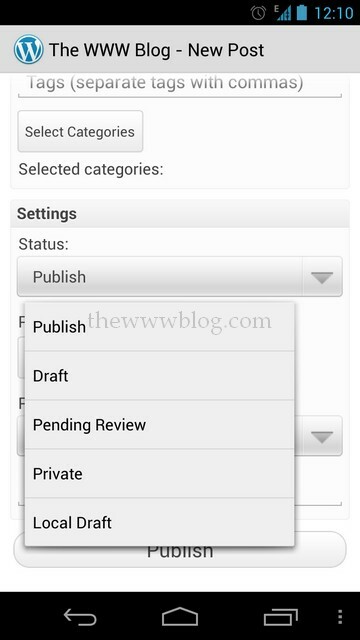 The WordPress app for Android is a well organized app which would help the user write a post, make a page, set the categories, upload images and videos and finally publish them with various other options, although not everything that is available on the Desktop version would be available here. 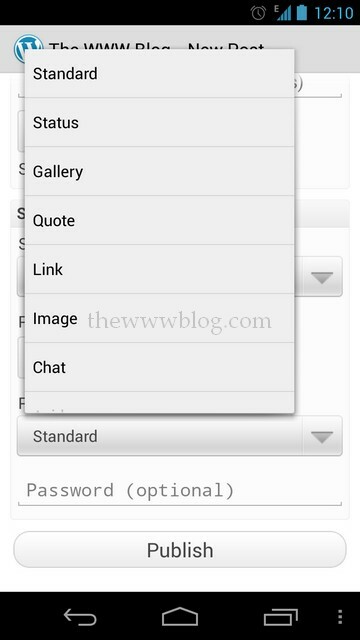 The screenshots that we have included would explain a lot about the WordPress Android App. 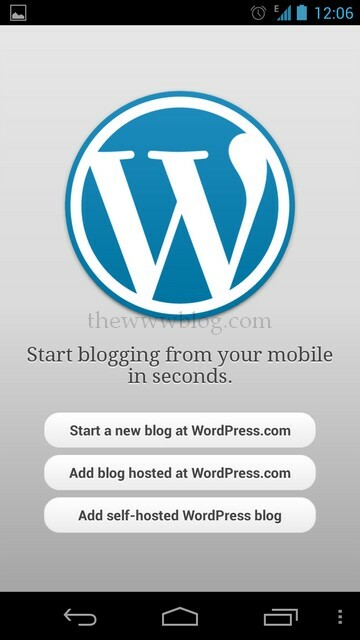 Blog on any type of WordPress Blog: Start a new blog at wordpress.com where a free blog can be registered directly from the app, or a blog which is already hosted at wordpress.com can be used, or one could add their self-hosted wordpress blog and login to that. 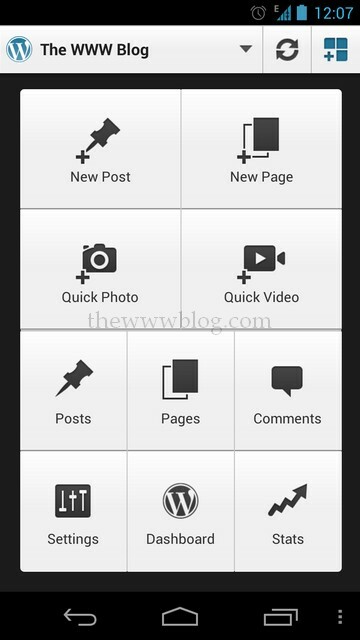 There is no limitation to the type of wordpress blog to be used in the Android app. Option of opening the actual desktop version admin panel from the app directly. 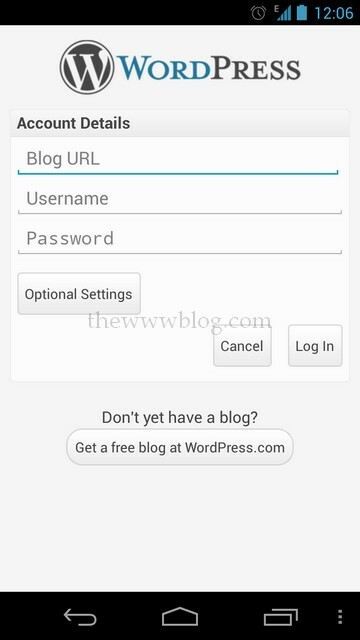 This would help you in making any changes to the blog which was not possible from the app, like changing something in the theme, installing or deactivating a plugin etc. The admin panel in the app shows direct links to New Post, New Page, Quick Photo, Quick Video, Posts, Pages, Comments, Settings, Dashboard and Stats. The user has a full control on the post, with the title, post content area where you don’t need to write just the simple text, but can also edit it and make it bold, italic, underlined, struck off, and add a link to a particular text and a few more options are available. The appropriate category can be selected before publishing the post. A new category can even be added if you feel there is no category for what you are posting. One can set all the timestamp options, and set to publish the post, draft it or send it for pending review, and if you don’t have an active internet at that point of time, you may save the draft locally too. 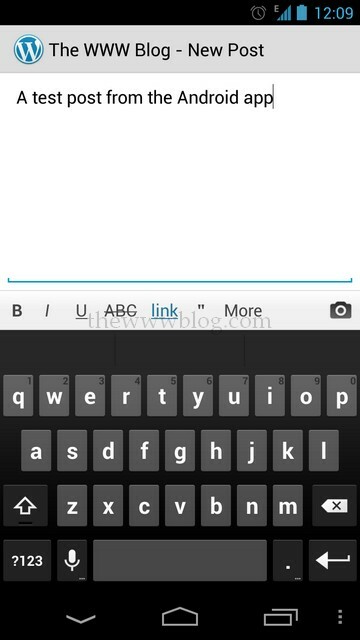 The post type can also be set, like a normal post, a gallery, a status, an image or chat etc. 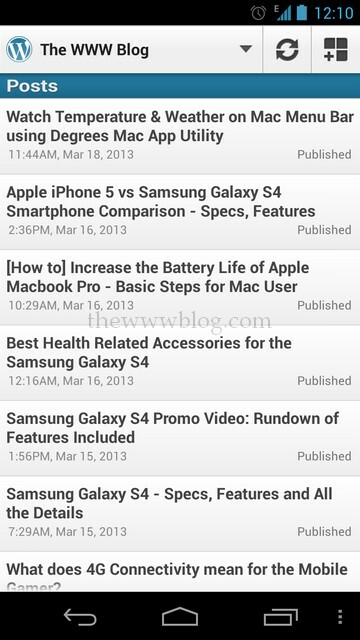 The app lists all the published posts in a very neat and organized way, with the time stamp when it was written, and with the status whether the post was published or was saved as draft or scheduled for posting later. All in all, this is a perfect application for the WordPress users and bloggers, where there is a lot of flexibility for the users, and this is the official app from the WordPress team. Download the app from the Play Store. 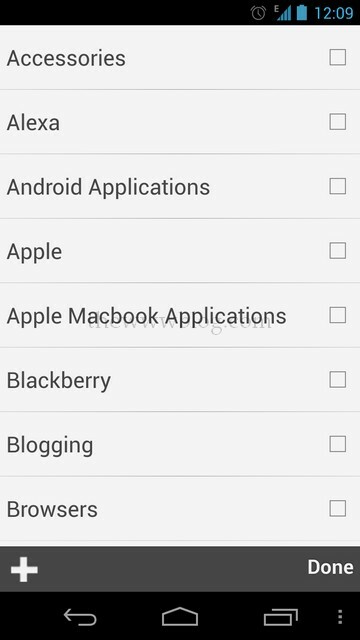 Earlier, there was a plugin for managing wordpress from mobile, named the Wpphone plugin, but that is certainly something different from what we have talked about above.